Although light-sensitive transition lenses are not a new technology in the big world of glasses, they are beginning to make their appearance in the world of snowmobiling. Just like prescription glasses, many see it as a great asset because of its simplicity of having only one lens. 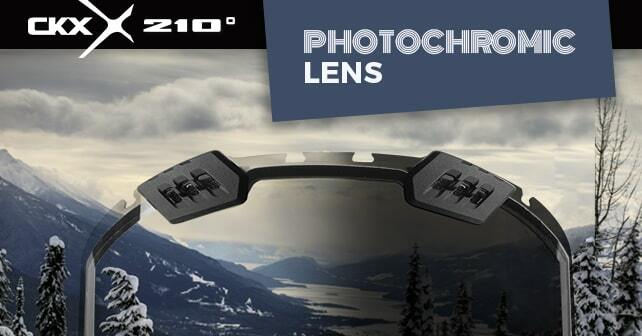 The 210° photochromic lens is very useful when riding because it adapts to the ambient light level. To speak more specifically how its work, the photochromic lens changes from clear to smoke at the very moment when it is exposed to an external luminosity. It protects you from the bright light that can blind you while adapting to different times of the day and darker places. It is actually the best of both worlds. Minimized glare for greater security. Counter changer in brightness easily with the 210° photochromic lens and keep a clear view of your destination day and night.